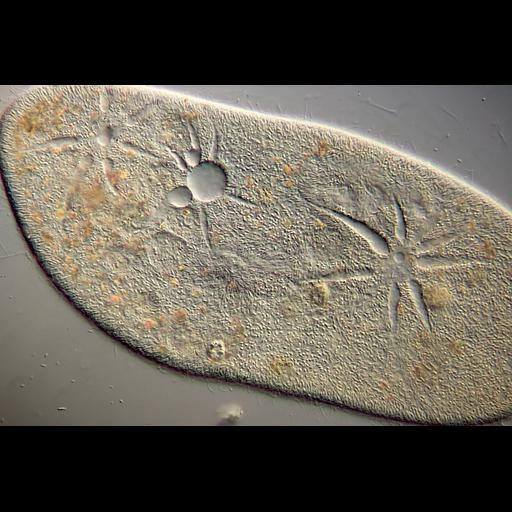 Differential interference contrast image of a Paramecium (unicellular ciliate protozoa) surface. The image shows three water vacuoles contracting. Specimen observed at 100x. Judges' Special Award for Technical Merit, 2010 Olympus BioScapes Digital Imaging Competition®.